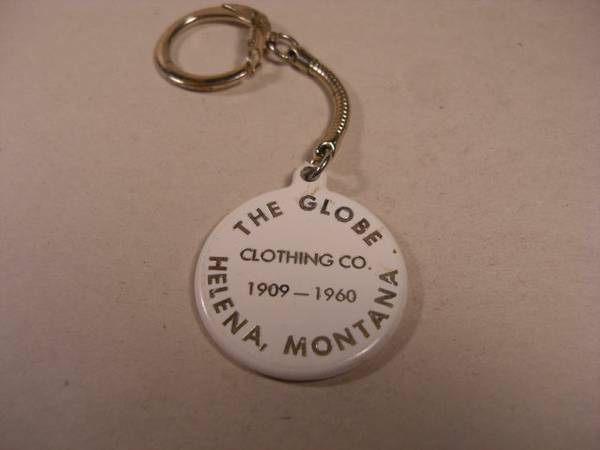 From the Helena landmark on Last Chance Gulch where Bert And Ernie's Restaurant now resides, two items: a keychain; plastic; good condition; marked: The Globe Clothing Co. 1909-1960; measures approx. 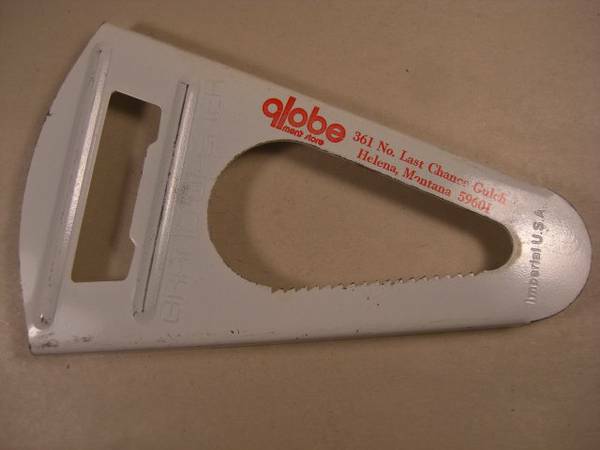 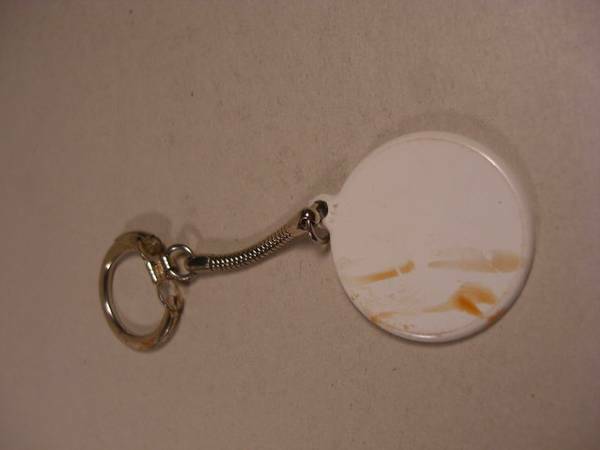 1 ½" across; and a white enameled jar opener marked: Globe Men's Store, made by Imperial in the USA; measures approx. 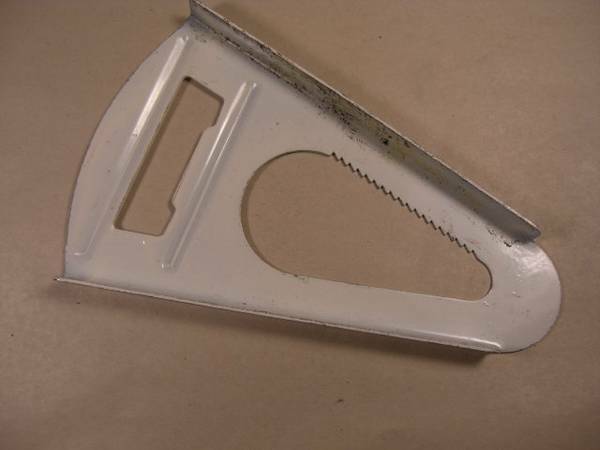 6 ½ " long by 4" tapering to 1 ½"; putting aside its collectible value, this is one heck of an incredible pickle jar opener!